Pat Levitt, a developmental neuroscientist at Children’s Hospital Los Angeles, has spent much of his career studying the setbacks and accidents that can make this construction process go awry. In the nineteen-nineties, during the media panic over “crack babies,” he was among a number of scientists who questioned whether the danger of cocaine exposure in utero was being overstated. (Levitt spent two decades examining the brains of rabbit mothers and their offspring that were dosed with the drug, and says that the alarm was “an exaggeration.”) More recently, as the science director of the National Scientific Council on the Developing Child, he has become interested in another sort of neurotoxin: poverty. As it turns out, the conditions that attend poverty—what a National Scientific Council report summarized as “overcrowding, noise, substandard housing, separation from parent(s), exposure to violence, family turmoil,” and other forms of extreme stress—can be toxic to the developing brain, just like drug or alcohol abuse. These conditions provoke the body to release hormones such as cortisol, which is produced in the adrenal cortex. Brief bursts of cortisol can help a person manage difficult situations, but high stress over the long term can be disastrous. 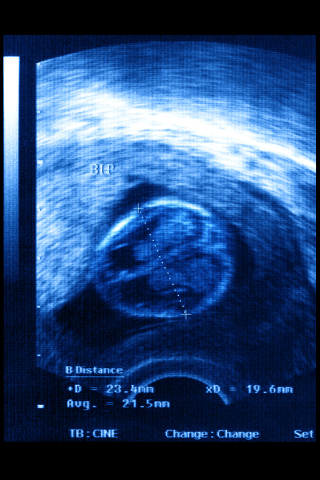 In a pregnant woman, the hormone can “get through the placenta into the fetus,” Levitt told me, potentially influencing her baby’s brain and tampering with its circuitry. Later, as the same child grows up, cortisol from his own body may continue to sabotage the development of his brain. In March, in the journal Nature Neuroscience, a group of researchers from nine hospitals and universities published a major study of more than a thousand children. They took DNA samples, made MRI scans of the children’s brains, collected data on their families’ income level and educational background, and gave them a series of tests for skills like reading and memory. The DNA samples allowed the scientists to factor out the influence of genetic heritage and look more closely at how socioeconomic status affects a growing brain. The scans focussed on over-all brain surface area, determined partly from the depth of the folds on the cortex, and the size of the hippocampus, a lumpy, curled structure nestled in the middle of the brain that stores memories. As might be expected, more educated families produced children with greater brain surface area and a more voluminous hippocampus. But income had its own distinct effect: living in the lowest bracket left children with up to six per cent less brain surface area than children from high-income families. At the lowest end of the income spectrum, little increases in family earnings could mean larger differences in the brain. At the middle and upper income levels, though, the money-brain curve flattened. In other words, wealth can’t necessarily buy a better brain, but deprivation can result in a weakened one. A person whose brain has been undermined in this way can suffer long-term behavioral and cognitive difficulties. 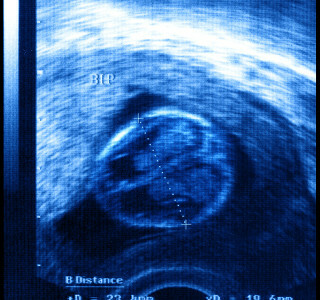 In March, a study appeared in the journal Acta Paediatrica showing eerie ultrasound images of fetuses that more frequently moved their mouths and touched their faces when their mothers were either stressed out or, even more so, when they smoked cigarettes—likely a sign of delayed nervous-system development. In a longer-term study published two years ago, neuroscientists at four universities scanned the brains of a group of twenty-four-year-olds and found that, in those who had lived in poverty at age nine, the brain’s centers of negative emotion were more frequently buzzing with activity, whereas the areas that could rein in such emotions were quieter. Elsewhere, stress in childhood has been shown to make people prone to depression, heart disease, and addiction in adulthood. Over the past decade, the scientific consensus has become clear: poverty perpetuates poverty, generation after generation, by acting on the brain. The National Scientific Council has been working directly with policymakers to support measures that break this cycle, including better prenatal and pediatric care and more accessible preschool education. Levitt and his colleagues have also been advocating for changing laws that criminalize drug abuse during pregnancy, since, as they pointed out in a review paper, arrest and incarceration can also trigger the “maternal stress response system.” The story that science is now telling rearranges the morality of parenting and poverty, making it harder to blame problem children on problem parents. Building a healthy brain, it seems, is an act of barn raising.